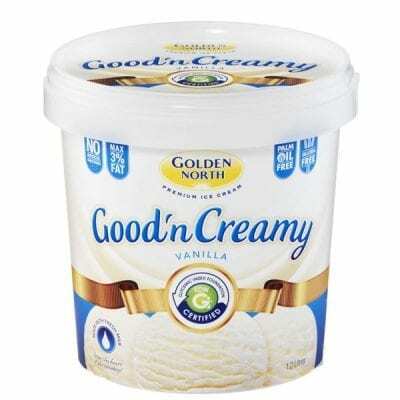 Premium Cookie flavoured ice cream made from fresh milk and cream with Choc Cookie pieces evenly distributed throughout. 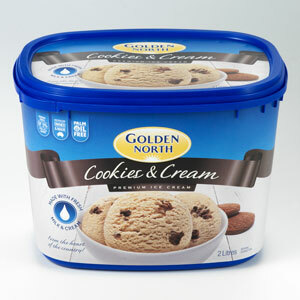 Cookies & Cream is a stunning Ice Cream that brings two South Australian companies together. This flavour has been very popular in ice creameries and will be an enduring favourite for kids of all ages. The cookie pieces in it come from SA’s own favourite Kytons Bakery (still think they make the best Lamingtons). 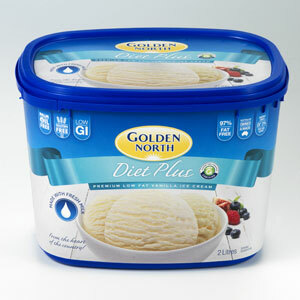 Available in 2 litre tubs and 5 litre scoop trays. 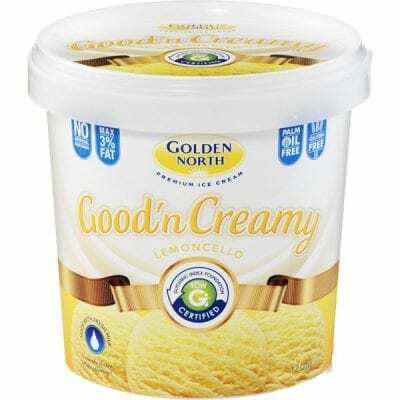 Ingredients: Fresh Milk, Fresh Cream, Sugar, Milk Solids, Stabilisers (401, 339, 466, 471, Soy Lecithin, 406), Gelatin, Wheat Flour, Butter, Margarine, Salt, Food Acids (331, 500), Flavours, Colours (160b, 100), Cocoa Powder, Whole Egg, Preservative (202). Contains Soybean, Gluten, Egg and Milk.